Size to 11 mm. 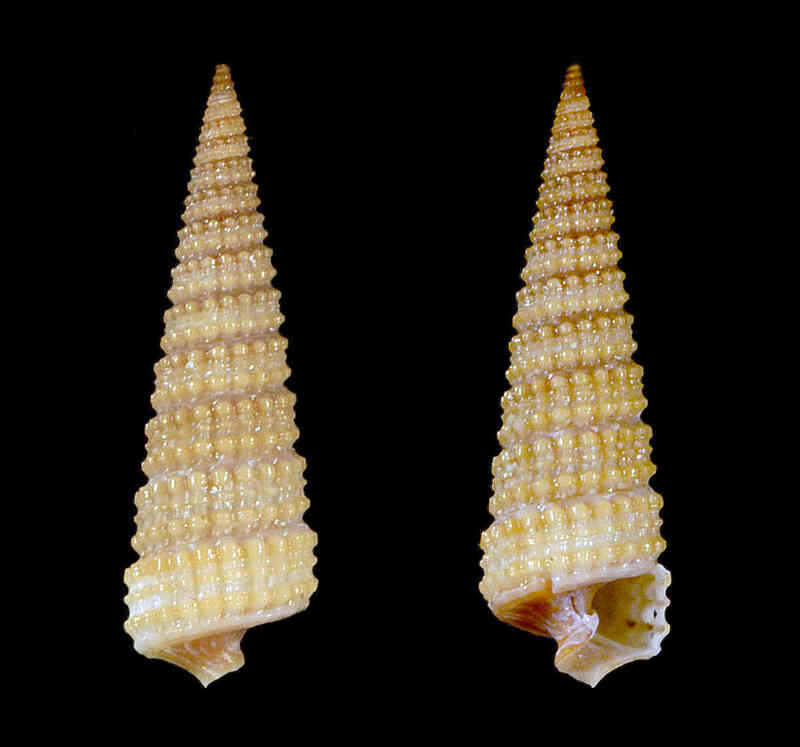 Shell with ten to 14 flat whorls. Sculpture of three rows of rounded, glossy beads. Aperture small with thickened outer lip. Coloration of cream to light-brown beads, usually set against a darker-brown background.